Michael Wippler is a member of Dykema’s six-person Executive Board. 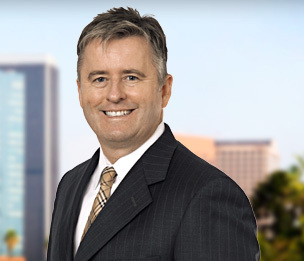 Before being elected to Dykema’s Executive Board, he served for six years as the Office Managing Member (Managing Partner) for Dykema's Los Angeles office. Additionally, Mr. Wippler manages client service teams for several of the firm’s main clients. Michael Wippler's practice focuses on business counseling, litigation, and negotiating and documenting business and real estate transactions. He has negotiated and documented real estate and business transactions in the United States, Europe, Latin America, and Asia. Mr. Wippler has also litigated matters alleging, without limitation, breach of contract, fraud, and statutory violations. Mr. Wippler represents individuals and both publicly-traded and privately-held companies. Representative companies include an international contract manufacturer, an international construction company, a national real estate developer/property manager, an automobile manufacturer, and an international oil field service company. Before joining Dykema, Mr. Wippler was the Vice President and General Counsel for a national mortgage banking and brokerage company. During the seven years that Mr. Wippler held that role, he also managed the company’s human resources and compliance functions. Mr. Wippler served in the United States Naval Reserve, as an Arbitrator for the Los Angeles Superior Court, on the Board of the Hiller Aviation Museum, and as Corporate Secretary for the W.M. Keck Foundation. Mr. Wippler holds a Broker's license from the California Bureau of Real Estate. "Web accessibility for the visually impaired under the ADA"
"Outside Counsel: Avoiding Costly Mistakes by Partnering With the Right Attorney"